90% of respondents would recommend this to a friend. We recommend checking out our discussion threads on the D-Link DCS-2210 Full HD Cube IP Camera DCS-2210, which address similar problems with connecting and setting up Wired IP Cameras D-Link. The user manual for the D-Link DCS-2210 Full HD Cube IP Camera DCS-2210 provides necessary instructions for the proper use of the product Surveillance - Surveillance Video - Wired IP Cameras. The D-Link DCS-2210 Full HD Cube IP Camera lets you keep an eye on your home or small office to prevent loss of confidential data and assets. You can even monitor these areas remotely over the Internet from any location. Designed for lowlight surveillance, the camera comes with a 2 MP sensor and a built-in IR LED to produce detailed color videos at HD resolutions of up to 1920 x 1080. In addition, the removable IR-cut filter ensures excellent video clarity during the day and night, making the camera suitable for round-the-clock surveillance. An integrated CPU and web server allows the IP Camera to function as a standalone device, allowing users to access the camera anywhere in the world via a Web browser. The included D-ViewCam software allows you to view up to 32 live cameras from a central location and instantly alerts administrators of suspicious or unusual activities. Using the ePTZ function, you can focus on close-up shots of different areas without moving the camera. In addition, the enhanced motion detection feature helps you keep intruders out of your home or office area by triggering an alarm each time it detects any movement in the designated area. If you own a D-Link wired ip cameras and have a user manual in electronic form, you can upload it to this website using the link on the right side of the screen. Box Dimensions (LxWxH) 8.3 x 5.6 x 3.9"
The user manual for the D-Link DCS-2210 Full HD Cube IP Camera DCS-2210 can be downloaded in .pdf format if it did not come with your new wired ip cameras, although the seller is required to supply one. It is also quite common that customers throw out the user manual with the box, or put the CD away somewhere and then can’t find it. That’s why we and other D-Link users keep a unique electronic library for D-Link wired ip camerass, where you can use our link to download the user manual for the D-Link DCS-2210 Full HD Cube IP Camera DCS-2210. The user manual lists all of the functions of the D-Link DCS-2210 Full HD Cube IP Camera DCS-2210, all the basic and advanced features and tells you how to use the wired ip cameras. The manual also provides troubleshooting for common problems. Even greater detail is provided by the service manual, which is not typically shipped with the product, but which can often be downloaded from D-Link service. If you want to help expand our database, you can upload a link to this website to download a user manual or service manual, ideally in .pdf format. 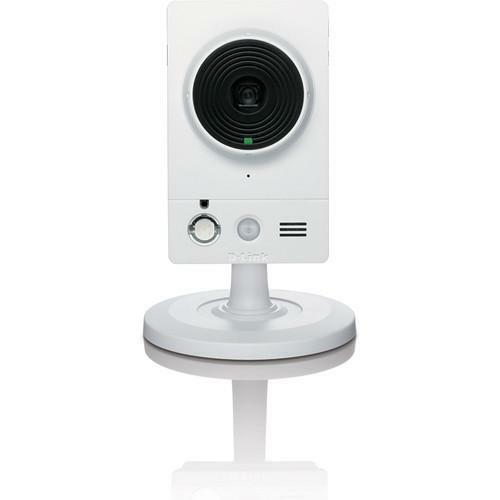 These pages are created by you – users of the D-Link DCS-2210 Full HD Cube IP Camera DCS-2210. User manuals are also available on the D-Link website under Surveillance - Surveillance Video - Wired IP Cameras.